What’s more, you’ll not have had this kind of fun since you were a kid! We all know adventure and exploration are not just for teenagers. Here’s an easy activity to rekindle your youthful enthusiasm for many years to come. Kayaking is great for fitness and for escaping the hustle and bustle. It’s easy on the joints and body. We use very stable, comfortable, user-friendly kayaks, making it easy for anyone to learn to kayak. Join us for your first time or your best time in these small group, stress-free paddles. 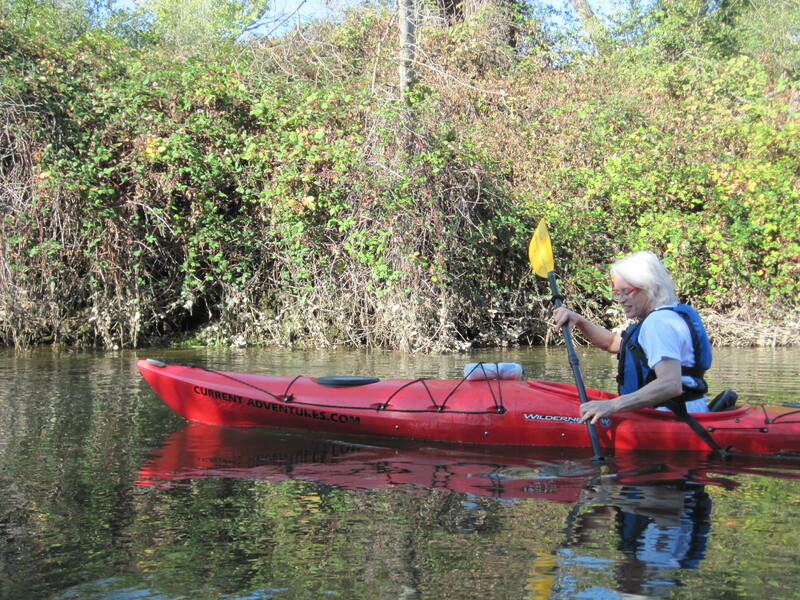 Discover why Kayaking is the new activity of choice for baby boomers and beyond! Client Comments: “Chuck and I had a fabulous time on the lake this morning! John was a great instructor and very patient with me trying to remember all the tips he gave us. Never had I thought that I would be kayaking! I have some new friends that go out about once a week at the Aquatic Center and now I feel confident to join them. Great idea to have a baby boomer class! Will pass the word around. Custom Group locations available: Slab Creek Reservoir (Camino), Lake Spaulding (Yuba Gap), and Cosumnes River Nature Preserve (Galt). slide show of Jenkinson Lake taken by George Nejmantowicz. When you learn to kayak with us we want you to remember your Lake Natoma experience as one of the best things you ever did! Our other Sacramento kayak lessons that offer you additional opportunities to get out there kayaking include Learn to Kayak 2, Full Moon paddles ( kayaking at Sunset with full moon rising! ), and more. Click here to email us for more details or to help you register today!